Many camps have policies and accommodations for children with disabilities. See each camp's special accommodations on their website. Grand Valley State University's Autism Education Center provides an additional resource for Autism Spectrum Disorder (ASD) Friendly Camps across Michigan which can be found here. Camp Discovery at North Star Reach is a unique overnight camping experience for children with epilepsy ages 7 - 15. With the support of 24-hour medical staffing, experienced counselors (many of whom have epilepsy), and fully accessible facilities, campers are able to freely enjoy five days and four nights of social, recreational, and educational activities. This includes swimming, boating, fishing, cooking, arts and crafts, sports, an "Ask the Neurologist" session, and much more. Teens with epilepsy, ages 16 - 17, can attend Solstice Camp, a four-day/three-night camp for teens with chronic health conditions. In addition to recreational activities, this camp provides growth opportunities to help empower teens as they transition to adulthood. North Star Reach is located on 105 acres of natural beauty in Pinckney, Michigan. Camp Discovery at North Star Reach takes place from July 22 - 26, 2018, and Solstice Camp takes place from June 28 - July 1, 2018. Summer Camp at The Conductive Learning Center is an opportunity for kids of all ages to come for an intensive four week session of conductive education. Groups of children of similar ages who all face similar physical challenges, learn mobility skills and independence, functional daily living skills, and do all this together in a supportive group with an atmosphere of fun and adventure. Each age group examines a specially selected topic and curriculum while moving to the next level of independence. Swimming and pool activities are included in the program. The final day of camp each group gives a performance or demonstrates a group activity based on the theme they have been examining for the past four weeks. Families are encouraged to attend. The 4-week day camp meets for five to six hours per day depending upon the group and the age of the child. 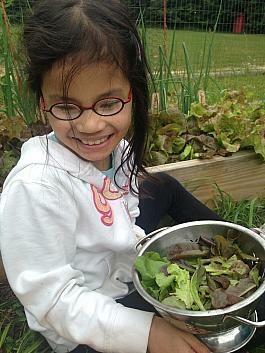 Four week programs are also available September through May. Our Mission here at Indian Trails Camp & IKUS Life Enrichment Services is to provide individuals with disabilities an enriched life experience through recreation, advocacy and meaningful relationships. Indian Trails is a remarkable facility that brings adaptive recreation to the lives of each camper. It is simple in theory, but daunting in task. Indian Trails offers a barrier-free camp setting in which those with disabilities can participate in all manner of activities the outside world is ill-equipped to provide. It is a place filled with fun, recreation and friendship. Campers learn perseverance, team-work and self-reliance. They leave for home loaded with love, respect, and memories. 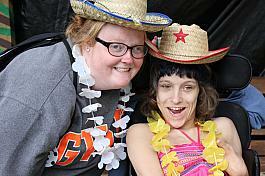 Indian Trails Camp brings adaptive recreation to campers in a safe, barrier-free environment. Campers participate in a wide range of activities while learning perseverance, teamwork, and self-reliance and experiencing empowering fun and friendship. At the same time, their families and caregivers are afforded some much-needed rest. What's not to love? June 4-10 Travel Through Time: From dinosaurs to futuristic fun, journey through the decades with us at camp. June 11-17 Color Wars: Embrace your ITC spirit in a friendly week-long competition between other cabins. This week also features the Big Dance. June 18-24 Passport to Fun: Experience all the world has to offer, right here at ITC! Get your passport stamped as you take a safari through the rainforest, cook international foods, and cruise to new adventures! June 25-July 1 Party in the USA: Join us for some Texas line dancing, a Hawaiian luau, a New York fashion show, and lots of other American fun. July 9-15 Show Biz: ITC's got talent! Star in a music video, help your cabin compose an award-winning song, and perform on-stage during this week of show biz. This week also features the Big Dance. July 16-22 Superheroes: It's a bird, it's a plane, it's Superman and more at ITC! July 23-29 World of Wizardry: Cast charms, brew potions, and fight dragons; witches and wizards welcome at this magical week of camp! July 30-August 5 There's No Place Like Camp: Follow the yellow brick road to ITC! Indian Trails accepts campers with a wide range of disabilities including Cerebral Palsy, Epilepsy, Multiple Sclerosis, Muscular Dystrophy and Spina Bifida. Inclusion and mainstreaming play key roles in making campers feel a part of things. With a capacity of up to 84 coed participants per session and serving over 700 people per year, ITC welcomes campers aged 5 to 70 and beyond. While summer camp is the main focus, Indian Trails also provides respite opportunities during the fall, winter and spring seasons. Respite weekends offer similar programs to those in the summer but with a seasonal emphasis. In addition, ITC offers Holiday Camp over the New Year holiday. This week-long program provides campers the opportunity to enjoy activities in great contrast to the summer sessions. Each session of camp is not only an opportunity for campers to partake in fun but also afford families and caregivers a much needed rest and vacation. "Camp gives me a chance to explore new things... Camp does not hold me back from being me." Opportunities Unlimited for the Blind offers summer camps for children and youth who are blind or visually impaired. Our mission: building life skills, self-confidence and independence for children and young adults who are blind or have low vision. At OUB Camps, campers learn life-skills that teachers and parents may not have time or skills to teach. Many OUB staff members are also blind or have low vision - they "walk the walk" every day and are the best teachers for our students. Our 1.5:1 staff to camper ratio for most camps ensures a great experience! We operate at Camp Optimist, with a teaching kitchen, garden and lodge and over 100 acres of woods and wetlands to explore. We also participate in activities at Indian Trails Camp, only a few miles away. This camp is designed to help our teenagers learn important skills of leadership and giving back to the community. Our kids are often passed up for opportunities to be officers in school clubs or leaders on team projects because of their vision issues and/or social skills. Also, for many of our kids, adults and sometimes other kids are constantly giving them directions, tips, ideas, trying to correct what appears to be missteps, and things that they think will help them. But our kids rarely get the opportunity to help others, and helping others is a critical component of feelings of confidence and competence. Service Leadership Camp will address the key components of leadership and service and why it is important that our kids become leaders and community servants. Also includes the usual camp fun of campfires, swimming, boating and more! By far our most popular camp for several years running, Cookin' and Jammin' Camp (cooking and music!) gives our campers a more extensive experience in the world of food, and tons of fun listening to, playing and creating music. A wide range of culinary and musical genre's will be explored, and also all the usual fun of swimming, boating, hiking and much more! Camp is full - taking names for waiting list. This camp, beginning on the Wednesday following July 4th and ending on Sunday afternoon, is great for the younger camper or anyone who has not been away from home before. There will be plenty of fun to go around and lots of skill building, field trips, and other exciting opportunities! Camp is full - taking names for waiting list. While less rugged than our 2016 rustic canoe trip, this is the Adventure Trip for the Adventurous! We will be visiting three places: Turkey Run State Park in Indiana, famous for great hiking trails and unusual sandstone formations; Berea, Kentucky, home to artist colonies dedicated to producing American handcrafts such as pottery, weaving, leatherwork, woodwork and more, and then on to Mammoth Cave in Kentucky to explore the wonders of the underground! Some younger campers may be accepted by permission of the Camp Director. It's going to be AMAZING! Don't miss it!